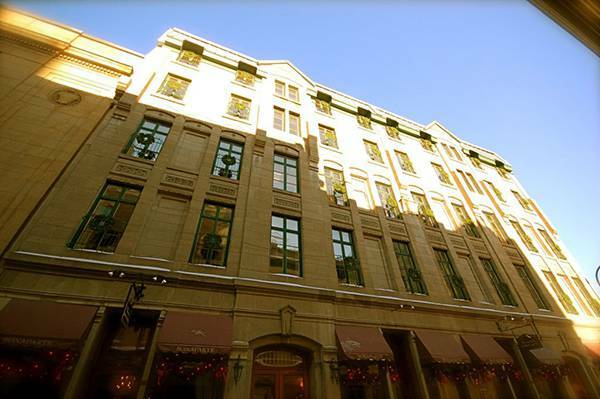 Old Montreal Hotel history: Hotel Bonaparte is seeped in rich history! The five-story building was built in 1886 by architect Victor Roy. Its first owner was a judge, the honorable Joseph-Amable Berthelot. The frontispiece still shows, engraved in the stone, the “Berthelot 1886” stamp. During this period, the building industry in the neighborhood was booming. The architectural ensembles, of various inspirations, include the Notre-Dame Basilica (1829), the first post-office in the city (1845), City Hall (1878), the Bonsecours market (1847), not to mention the financial institutions, the old Montreal Stock Exchange and harbor front buildings. With the Saint-Lawrence River as its natural frontier, the strikingly splendid area marks the city’s prosperity and places it at the top of the list of the continent’s most important cities. It also designates the city as a center of growth in Canada. 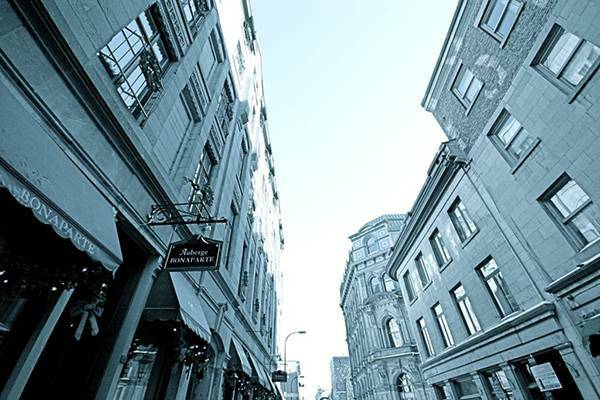 To say that a hotel in the area was needed is a reality that has been noted for a few years, as the Old Montreal became more and more frequented by tourists and business peoples. In Europe, the historic districts abound in small hotels and charming inns. Paris, Rome, London, Athens, Madrid etc., are teeming with houses full of history. Consumer’s habits are changing and an increasing demand for authenticity and professional character is to be expected. The wants and needs of the travelers have become more specific. Everyone is a little tired of conventional hostelry, with its chain uniformity and lack of identity, seen as impersonal and rather cold. For a given level of comfort, our guests are increasingly sensitive to a specific setting, a unique and privileged environment. Our kind of accommodation and reception illustrate this concern perfectly. 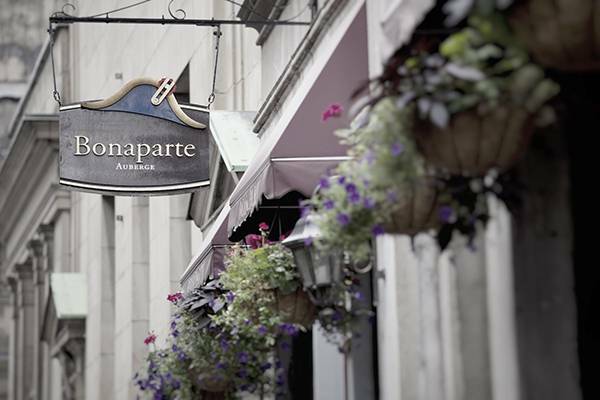 The Bonaparte Hotel & Restaurant is one of the only establishments to offer a gastronomic restaurant within its walls.